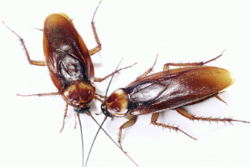 Receive A Free Pest Control Estimate! Located in St. Clairsville, Buckeye Pest Control is the leading pest management company offering pest prevention, pest control, and extermination services in the Ohio Valley including: Wheeling, Moundsville, Steubenville, and Belmont. Protect your home or business from invasive species! Contact us today. Stop Insects & Rodents In Their Tracks! Call Now. 24-Hour Emergency Service Available! Call Us Today! Copyright © 2018 buckeyepestohiovalley.com All rights reserved.